Letter from Africa: Why is no-one talking about the Zamfara conflict? AFPZamfara has been suffering from bad governance for decadesIn our series of letters from African journalists, Kadaria Ahmed looks at the brewing crisis in Nigeria’s Zamfara State, which analysts say has the potential to become as deadly as the Boko Haram conflict.Growing up nearly 50 years ago in Nigeria’s north-western Zamfara State, I could never have imagined its future of grinding poverty and escalating violence.The capital of Zamfara State, Gusau, used to be a prosperous town. British company John Holt ran a tannery, which bought and treated hides before shipping them off to Europe. Sugar giant Tate and Lyle had a presence. There was also a textile company, an oil mill, and a ginnery that prepared cotton for export.As children, our favourite place in Gusau was the sweet factory, run by a Lebanese family who were, for all intents and purposes, locals. There, we could satisfy our cravings at very little cost.A functioning rail line moved goods out and across Nigeria, and brought people in, many of whom were drawn to the region’s thriving industries. AFPZamfara used to be a thriving trade hubIn Gusau, there was a sizeable population of ethnic Yorubas from south-western Nigeria, Igbos from the south-east, and thriving Indian and Lebanese communities. This cosmopolitism partly fuelled the region’s aspiration for statehood, which it attained in 1996.Parents also had the pick of decent government schools, or those run by missionaries, for their children’s education. The knowledge of untold wealth, in the form of huge gold deposits that lay buried under the soil, guaranteed a prosperous and affluent future for the state.Or so we thought.We never factored in bad governance. The impact has been acute in Nigeria’s northern states, which have experienced economic collapse, further pauperising its people, whose future was largely dependent on having decent, visionary leadership.This is evident through the failure to build on the huge amounts of agricultural land, pluralistic populations, and unexplored mineral resources. There has been little attempt to mitigate the impact of climate change. Instead of utilising resources to educate and help its people, the northern political class has simply enriched itself.According to a recently released Oxford University Human Development Index, the state’s poverty rate is 92%.While the economy declined, ultra-conservatism and lack of tolerance grew, and in 2000 Sharia was introduced in Zamfara State by former governor Ahmad Yerima, which seriously undermined the multicultural nature of the state.More about Zamfara: •	67.5% of people in poverty (National rate: 62%)•	Literacy rate: 54.7%•	Slogan: Farming is our Pride•	Residents mostly farmers from Hausa and Fulani communities•	Population: 4.5 million (2016 estimate)•	Mostly Muslim•	First state to reintroduce Sharia – in 2000 Source: Nigeria Data Portal, and othersA succession of administrations have resorted to lazy, knee-jerk reactions to problems that require long-term holistic solutions. When cattle rustling became a problem in Zamfara, Governor Abdulaziz Yari created local vigilante groups to fight the thieves in 2013.It did not take long for residents to start complaining about the vigilantes, who were now extorting and stealing from the very people they were meant to protect.Villages caught between vigilantes and rustlers started trying to organise and defend themselves, with dire consequences. The cycle of violence escalated with attacks and reprisals. An attempt to implement an amnesty programme has also failed.Now we have a spiralling, murky conflict in which all lines are blurred. The only thing that is certain is that innocent people continue to die in substantial numbers.Dozens have died over the past few months during attacks on villages in Zamfara State. Due to a lack of reporting, it is impossible to tell what the total death toll has been in this ongoing six-year-conflict.On 28 March, at least 28 people were slaughtered by unknown gunmen on motorbikes in the village of Bawar Daji, some 90km (55 miles) from Gusau. The slain were attending a funeral for victims murdered during a previous and painfully similar attack. AFPThe cycle of violence caused by vigilante groups and cattle rustlers has led to an untold number of deaths in ZamfaraFor many years, the killings, kidnappings and rapes were only occurring in rural areas of Zamfara. It was underreported as the victims live on the fringes of national consciousness: they are poor, rural folk, who eke out a living as farmers and herdsmen in an area geographically removed from the centre of governance.The conflict doesn’t lend itself to the binary reporting that the Nigerian media finds very seductive. 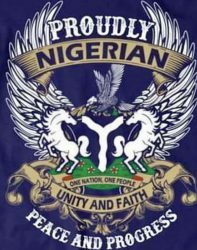 Christians are not pitted against Muslim, or North versus the South, or Hausa-Fulani against other groups. It can’t be reported as evidence of Nigeria’s further fracturing along ethnic and religious lines. The cultural and religious identities of both the victims and perpetrators are mostly the same.This all speaks to a wider, national problem of our failing Federal State that cannot fulfil its most fundamental role of protecting its people. And so the people of Zamfara are left mostly to their fate.Across Nigeria, there are huge swathes of ungoverned space that lend themselves to lawlessness in the absence of a functional state security apparatus. Rugu forest in the north-west cuts across multiple regions including Zamfara the border with Niger. The forest has been described as the equivalent of Sambisa forest in Borno State, which has become a hideout for Boko Haram in recent years.Chris Ngwodo, who is an expert on the region, says the situation in Zamfara is exactly where Borno State was in 2009-2010, when Boko Haram launched its bloody uprising. The conditions in Zamfara are “perfect,” he says. Perfect for another intractable conflict.